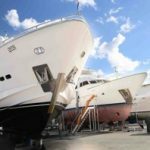 Gold Coast City Marina & Shipyard (GCCM) is the Asia Pacific’s most comprehensive and awarded refit and repair facility attracting yachts from around the globe. Its service capabilities extend to all aspects of refit, maintenance, berthing, dry storage and construction. GCCM is the first and only shipyard in the Asia Pacific region to be awarded the highly coveted 5 Gold Anchor Global Marina Accreditation and is also an IGY Anchor Club Strategic Partner and a Preferred Service Centre for Benetti. The shipyard boasts a clean and controlled hardstand that is over 50,000m2, eight purpose-built superyacht refit sheds and a dedicated superyacht work basin. 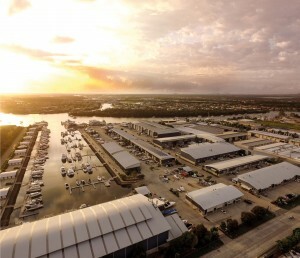 This truly world-class facility plays home to the largest concentration of marine trades in Australia with over 80 on-site businesses employing in excess of 700 top-quality marine contractors – no other yard south of the equator has such a diverse and professionally recognized offering. 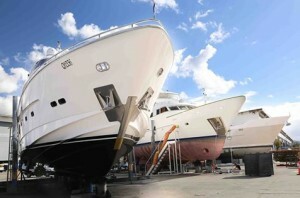 At GCCM everything you need, every facet of the marine industry, is covered in one convenient location. GCCM is also the East Coast Australia Agent for Seal Superyachts, the most comprehensive superyacht support agency in the world. With dedicated offices right across Asia and the Indian and Pacific Oceans, they are able to provide a cohesive support network from the Panama through to the Suez Canal. LOCATED IN AUSTRALIA’S WORLD-FAMOUS PLAYGROUND. 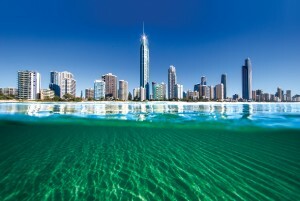 GCCM is ideally located on Queensland’s spectacular Gold Coast, mid-way between Cairns and Sydney. 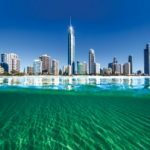 Spanning more than 57 kilometres of picturesque coastline and bordered by world-heritage listed rainforest, the Gold Coast is Australia’s premier tourist destination – renowned for surf, sand and year-round sunshine. It is the ideal destination or stopover for vessels cruising the South Pacific or the east coast of Australia and also a dedicated port of clearance. The world-class facilities at GCCM are complimented by a range of thoughtful services including an impressive restaurant/café, newly refurbished laundry and ensuite facilities, courtesy cars (with surfboard and bike racks), courtesy bikes and surfboards, airport shuttle service, pilot vessel service, complimentary wi-fi and a brand new dedicated Superyacht crew suite. A dedicated Customer Relations Officer aims to provide a truly personalized level of care attention for visiting yachts and is available to make restaurant reservations, source provisions, book hotels, recommend night life hot spots, arrange medical requirements and generally make your visit enjoyable and memorable. 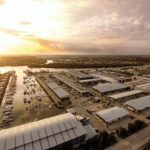 GCCM has become an international benchmark in marine services and a vital part of the 250-hectare Gold Coast Marine Precinct.